Ridiculously tired after a full day of spin, shopping, walk, writing the other blog and bath. Mind has gone blank. 1. Make gin cocktail for Ginuary: www.ginuary.com, http://www.ginuary.org. Have some freshly-squeezed apple juice so will use that. 3. Make stir-fry with the wild garlic tofu. Managed to ruin The Omelette yesterday, which doesn’t bode well for Return To Flat. Will try again to cook, this time a stir fry. 4. Message Suzie to see if she can stay at the flat with me one night this week – probably Thursday. Need to water my house plants there. 5. Send positive vibes to Seb for his most difficult exam tomorrow: invertebrate zoology. It’s at 12pm. Not 12am. Let’s hope he remembers this. “How was it?” I say when he calls at 4pm today. “Not too bad,” Seb says. “Would you like to tell me about it?” I say. “It was fine. I did my best. I’m sure I passed,” He says. “OK my lovely,” he says. 6. Send some text messages to some chums. Need to socialise a bit. It’s a social satire following the judges and authors of a (fictitious) literary prize and it’s laugh-out-loud funny and very clever. And an easy read, which helps at the moment. Feels good to be reading again. Right: had better make cocktail and supper. Attached photo is cotoneaster. Saw it on walk with Mum earlier. *2014. 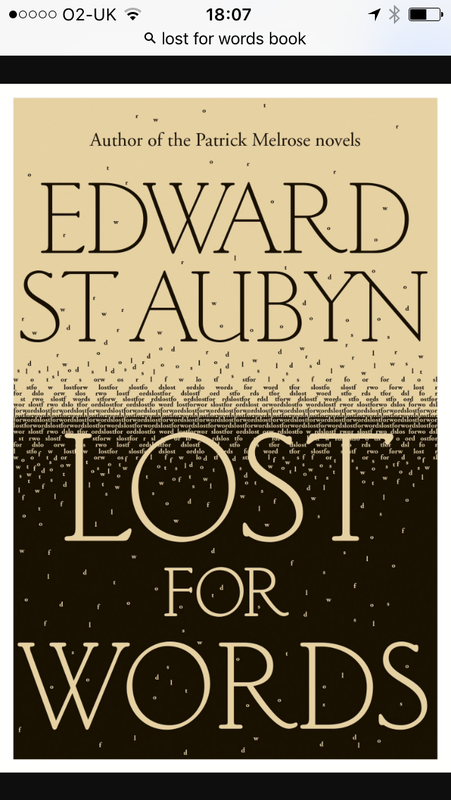 By Edward St. Aubyn. Literary fiction. This entry was posted in Uncategorized and tagged #blogging, #bloggingaboutblogging, #bloggingaboutreading, #breastcancer, #breastcancersurgery, #breastcancertreatment, #longdistancelove, #longdistancerelationships, #love, #mastectomy, #reading, #relationships, #writing, #writingaboutblogging, #writingaboutwriting. Bookmark the permalink.